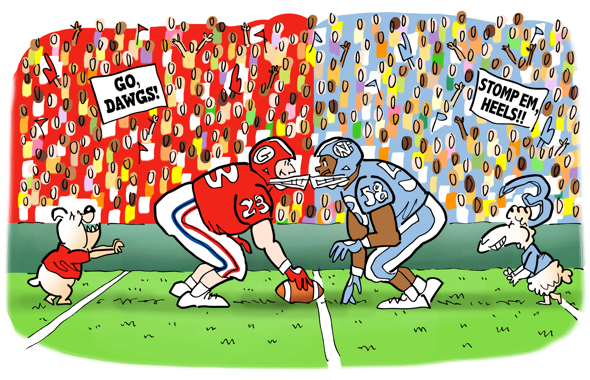 Header illustration for Chick-fil-A’s 2016 Kickoff Game quiz. Georgia Bulldogs vs. North Carolina Tar Heels. NC’s mascot is a ram. You can see the entire quiz and all 10 illustrations on Chick-fil-A’s site.